When you think BILLIONAIRE, you might not think THRIFTY. But that’s what Warren Buffett – considered one of the greatest investors of all time – famously has on his car number plate, and he is known for his frugality. Born in Omaha, Nebraska, he lives in the same Omaha home he brought in 1958 for $31,500 (£22,500). The chairman and chief executive of Berkshire Hathaway, a huge conglomerate, has a net worth of more than $87 billion (£62 billion). He is perennially ranked one of the world’s richest men – third currently. He could definitely afford something more fancy. And rather than enjoying lavish Michelin star meals, the "Sage of Omaha" eats a simple diet of… junk food, or in his words, "like a six year-old" – McDonald’s breakfasts, ice-cream, Cheetos and Coca-Cola. Mmmmmm, healthy. He once told the American news channel CNBC: "If somebody told me that I live a year longer by eating nothing but broccoli and asparagus from now on ... every day will seem like as long. I’ll stick with the Cheetos and the Coke." His hobbies are modest; watching sport on TV, playing bridge and "reading and thinking". "I do more reading and thinking, and make less impulse decisions than most people in business," he has said. How did he get SO rich? He started investing young. He developed a head for numbers even younger. His father was a stockbroker and, according to the biography The Snowball: Warren Buffett and the Business of Life, he was selling chewing gum aged seven and Coca-Cola not long after. By the time he was 10 years-old he was chalking up stock prices at a regional stock-broking firm. He was just 11 when he brought his first shares. Buffett had an entrepreneurial streak – he used his savings to buy pinball machines, took the business of delivering newspapers very seriously and made good money out of it, and washed cars. His father convinced him to study and after graduating he worked as a stockbroker. He was a millionaire by 31. Buffett used his wealth to invest directly in companies. Investments included textiles firm Berkshire Hathaway, which he went on to take control of, and American Express. What is his approach to investing? 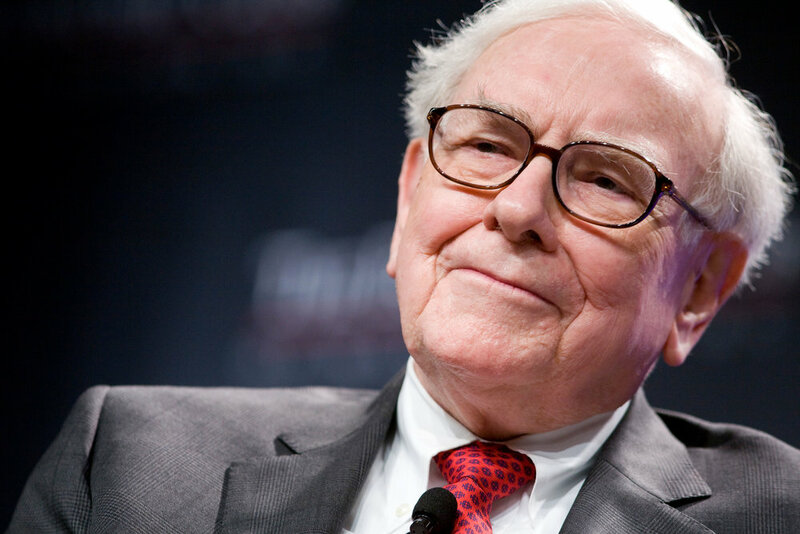 Warren Buffett’s strategy is long term and linked to the value investing method, which he was taught by his Columbia Business School professor Benjamin Graham. Graham is considered the father of value investing – where investors look for businesses worth more than they are trading for – and thought of the market as a potential business partner called ‘Mr Market’. Buffett has claimed Graham’s book "The Intelligent Investor" changed his life. The key to Buffett’s strategy is that he buys when others are fearful. In his 2016 letter to shareholders he wrote: "Many companies…will fall behind, and some will fail… Moreover, the years ahead will occasionally deliver major market declines – even panics – that will affect virtually all stocks. No one can tell you when these traumas will occur… During such scary periods, you should never forget two things: First, widespread fear is your friend as an investor, because it serves up bargain purchases. Second, personal fear is your enemy." To think like Buffett, think long term. He believes if you aren’t comfortable owning a stock for 10 years, you shouldn’t own it for 10 minutes. The other investing ingredient applicable to Buffett’s approach has been the power of compound interest. This is basically the effect of generating interest on top of previously accumulated interest and is the reason why starting investing young gives you a major advantage.